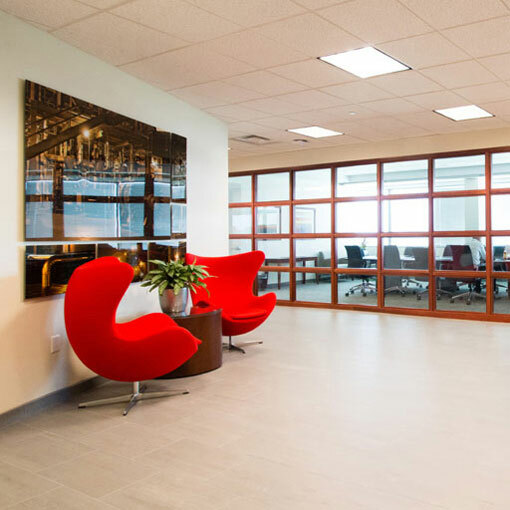 Essential Power’s bright red logo was the inspiration for the design of their new headquarters. 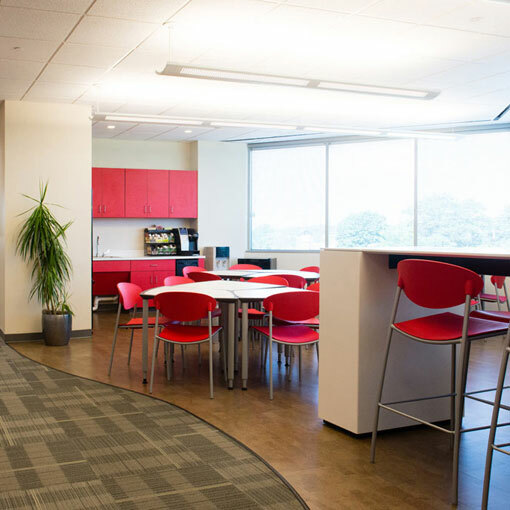 The simple, modern lines were echoed throughout the layout, and the same shade of red can be seen throughout the space by way of the furniture and the pantry cabinets. 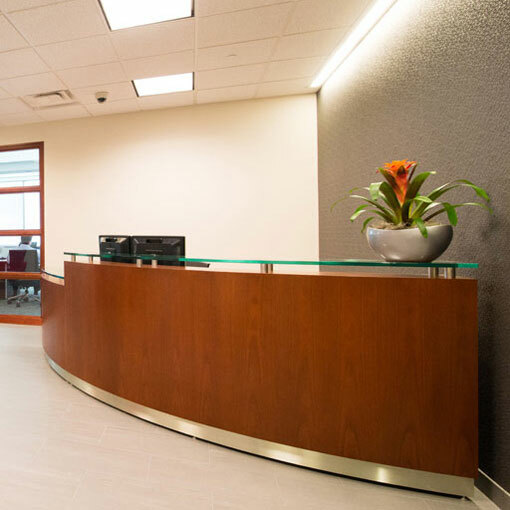 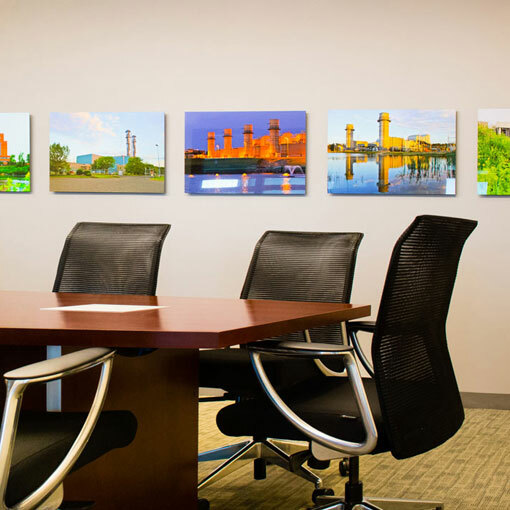 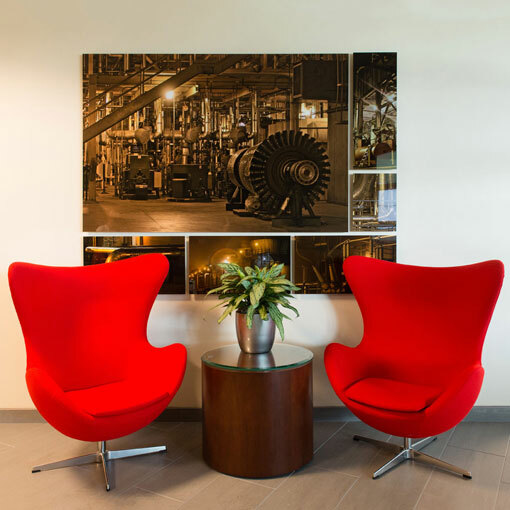 Photo montages of the company’s power plants and facilities were used to decorate the walls, introducing a more personalized and industrial element into the corporate office. 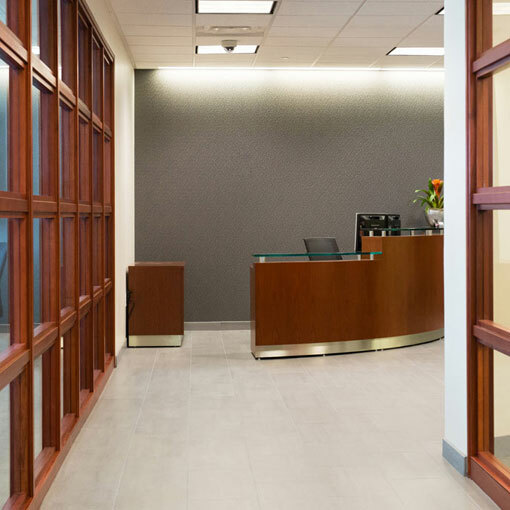 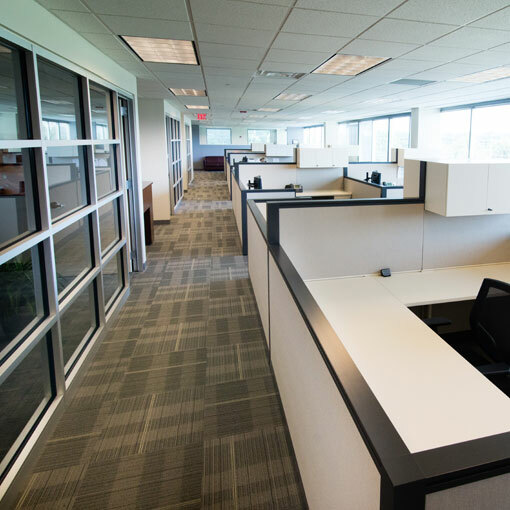 Sunshine streams in through the large windows and lights up the entire workplace, where the private offices line the interior walls rather than monopolizing daylight and outdoor views.